It would be ideal if every person in America living with an opioid use disorder received treatment. Given the state of the opioid epidemic, however, that would seem like wishful thinking. Even when you discount opioid use disorder, the clear majority of all people living with addiction never access treatment. But, unlike most other drugs and alcohol, opioids carry a much higher risk of premature death and the transmission of disease via intravenous use. It is for those reasons that more and more states have turned to increasing access to naloxone and the use of needle exchanges. Going a step further, the mayor of Seattle announced earlier this year the implementation of “safe-injection” sites. All the aforementioned efforts are an attempt to mitigate the yearly death toll from opioid abuse. If treatment cannot be provided to those who need it, the least that can be done is reducing the chance of overdose and the spread of disease. Needle exchanges are perhaps the best way to ensure that IV drug users can access sterile syringes. Exchanges are also an opportunity to discuss addiction recovery with active users. The way needle exchanges are intended to work is that IV users bring in used syringes to be replaced with fresh needles. Give one, get one. This not only mitigates the risk of spreading disease, it keeps potentially infectious needles out of trashcans and street gutters. Unfortunately, it appears that needle exchanges are not always the best about adhering to their own rules. As is evident by the fact that across the country used syringes are popping up everywhere. Improper disposal of needles is a bi-coastal problem, much like the epidemic itself. In New England and California there has been a major problem with syringes being disposed of in unsafe manners. In beautiful Santa Cruz, California, an organization called Take Back Santa Cruz has found more than 14,500 needles in the county in just 4 1/2 years, NBC News reports. When needles are not disposed of properly, the general public is at risk of getting stuck. Take Back Santa Cruz has received reports of 12 human needle prick cases—half of them involving children. "It's become pretty commonplace to find them. We call it a rite of passage for a child to find their first needle," said Gabrielle Korte, a member of the group's needle team. "It's very depressing. It's infuriating. It's just gross." 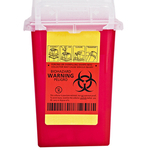 So, if needle exchanges require the actual “exchange” of syringes, why are so many being discarded improperly? Well, in the case of Santa Cruz, the exchange was previously operated by a nonprofit until 2013, which did not always require users to provide dirty needles to get clean ones, according to the article. Santa Cruz County took over operations of the various exchanges. The reason the country needs needle exchanges and the provision of clean syringes is because of our staggering opioid addiction rates. A form of narcotic that many users administer via injection. As dependence gets more severe over time, simply ingesting or snorting opioids does not provide the desired feeling of euphoria. Forcing people to choose the more dangerous route of IV use, which provides more intense and quicker relief. The more IV drug users that can be encouraged to seek treatment, and can actually access it, the fewer used syringes that will likely be recklessly discarded. At least logically, that is. It is of the utmost importance that IV drug users can access and get the help they desperately need. If you or a loved one is addicted to opioids, please contact Hope by The Sea today. Recovery is possible, and we can help.